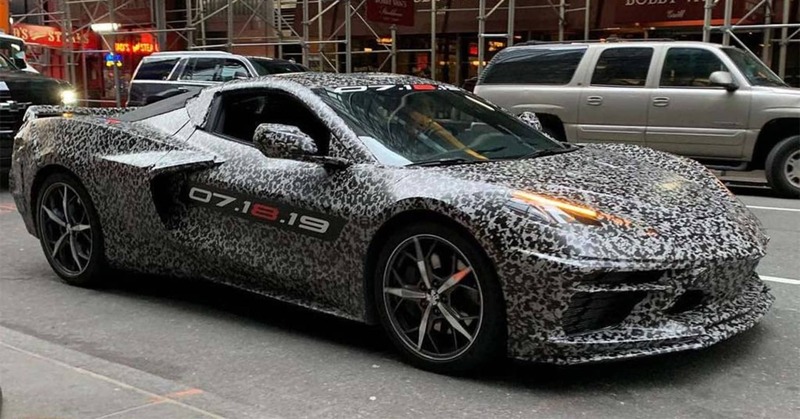 Chevrolet Corvette Chief Engineer Tadge Juechter and General Motors Chairman and CEO Mary Barra drive in a camouflaged next generation Corvette down 7th Avenue near Times Square Thursday, April 11, 2019 in New York, New York. While the Corvette may not generate the sort of sales you’d expect of a Chevy SUV like the new Blazer, it has long been billed as “America’s sports car,” giving a halo not just to GM but the American auto industry, as a whole. The latest version, known to fans as the C7 – for the Corvette seventh-generation model – is an impressive and well-respected piece of machinery, but not quite a world-beater. The C8, it is widely expected, will be the first version to give a serious challenge to the likes of Ferrari, McLaren and Lamborghini. It’s not that GM hasn’t thought about building a true world-beater. Coming up with a mid-engine model was the one unfulfilled dream of Zora Arkus-Duntov, the Belgian-born engineer widely known as “the father of the Corvette.” Since the first ‘Vette was produced 66 years ago, in fact, there have been any number of prototypes, none making it into production.